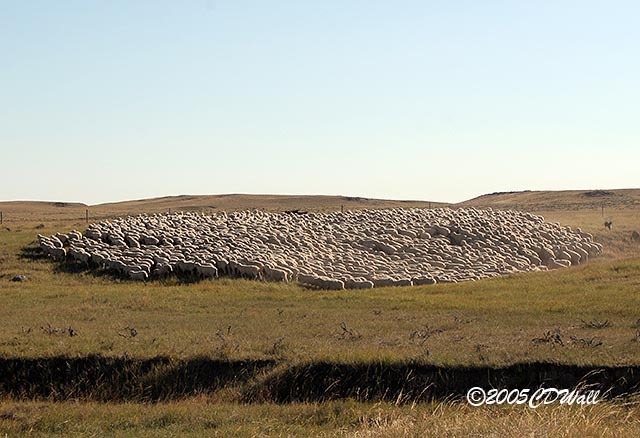 We were trying to gather a group of 1,000 ewes from a spread in ND with 5,000 sheep total. They're normally in bands of 1,000 spread out over this vast property. After hours on horseback, four wheelers and gators searching unsuccessfully for the group, they finally went up in a plane to locate them. As it turns out, they had gotten in with another group of 1,000, so for reference this is a flock of 2,000 sheep.